Get out your Sunday best. It’s time to play with some new toys and meet the gods who make our days worth living.  CanJam NYC will be held on February 16th and 17th at the Marriott Marquis in Times Square. And there will be bathrooms. From snazzy DAPs to teeny weeny eartips, you should find what you’re looking for.